This 7-hour tour is for all visitors who are landing at San Martin Port and want to enjoy a private tour to Huacachina.In this traditional tour you will visit traditional vineyard of Pisco and wine, where you can learn the old method of making Pisco and also taste a variety of drinks, you will them visit Huacachina, a beautiful oasis surrounded by big sand dunes. where you can enjoy fantastic views of the desert, valleys and the Andean Mountains in the background and have the chance to flight over the astonishing Nazca Lines from Ica airport. 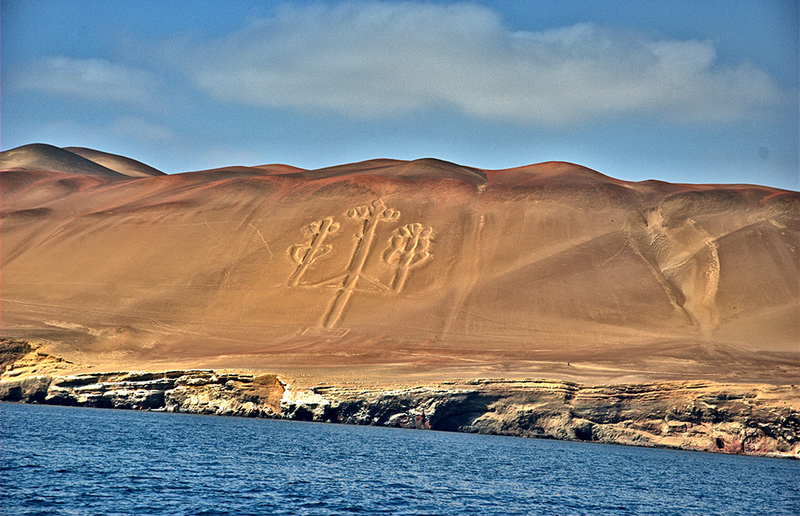 At the agreed time, you will be met by our guide and transferred from San Martin Port to Paracas town. At this point you will meet the rest of the group and drive towards Ica Airport for your short flight over the Nazca Lines. At the airport you will have an introduction about your tour and safety instruction. This flight will cover the expanse of the Nazca desert, the surface of which is scarred by gigantic drawings and geometrical shapes. Note: The flight lasts exactly 70 minutes including the travel time to Nazca and is the best way to see these fascinating lines and drawings that have intrigued people for years. Once in Nazca, you will see 14 most representative figures drawn on the stony surface of the Nazca desert. Representing animals and stylized plants, distributed in a huge labyrinth of lines, trapezes, triangles and hairsprings which have been preserved for almost 2000 years. They are the most incredible remains that an ancient culture has left behind. These designs, which some of them are as long as 500 meters, can be truly appreciated only from the sky at an altitude of 1,500 feet. Afterwards we will drive southwest towards to Huacachina Oasis, a beautiful lagoon surrounded by palm tree and huge sand dunes with spectacular views of Ica Valley and desert landscape. Here you will have time for some refreshment or walk around the Oasis, if you wish to experience the dune buggy tour you can arrange this locally. If time permit we will visit a traditional wine yard to taste some local wine and Pisco. Finally, you will return to San Martin Port to re-join your ship. Airport Tax $10.00 per person. Flights from Ica Airport are available from 8:00 am to 16:30 pm (subject to weather and times established by the DGAC conditions depending month of the year). The flight time will be confirmed one day before of departure, and will be notified via email, (you must check your email for flight time confirmation). The duration of the flight is 70 minutes approximate. NOTE: the actual flight over the Nazca Lines is 30 minutes. The other 40 minutes is to get there and back. For a full refund, cancel at least 7 days in advance of the start date of your tour.